Home Brewer Deals - Save big on your homebrewing gear and Supplies! : $124 For the Ultimate Homebrewing Sparge Arm! 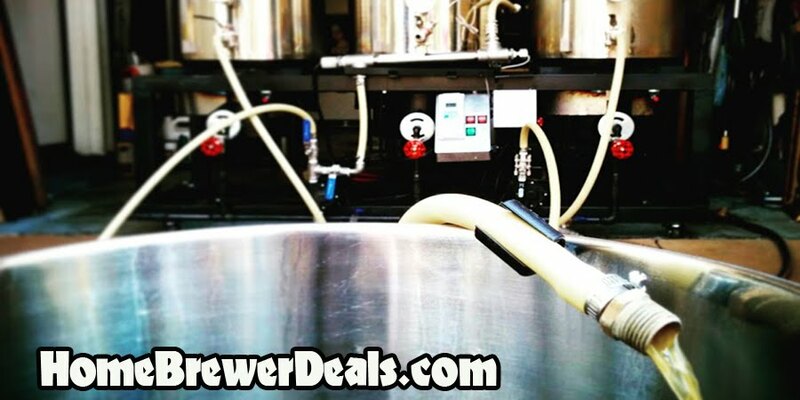 Coupon Description: MoreBeer.com currently has a coupon code that will get you an Ultimate Sparge Arm for just $124! No kidding, this sparge arm is one of the best homebrewing purchases that I have ever made. The reason I say that is because it allowed me to recirculate via my sparge arm which very few other sparge arms will permit you to do. This MoreBeer sparge arm design is the perfect addition to almost any all grain setup! This sparge arm assembly is made completely of stainless steel and silicone, and has two adjustment points. One of these will help to hold the sparge arm against your kettle, while the other allows you to move the sparge arm up or down inside the kettle to accommodate different amounts of grain. These adjustment knobs are very easy to hand tighten and loosen, meaning no tools are necessary. Excellent for sparging as well as recirculating your mash in a RIMS or HERMS system!